WayDay 2019 is Almost Here! Wayfair launches their biggest sales event of the year on April 10th, kicking off 36 hours of the best prices of the year on Wayfair, AllModern, Joss & Main and Birch Lane. 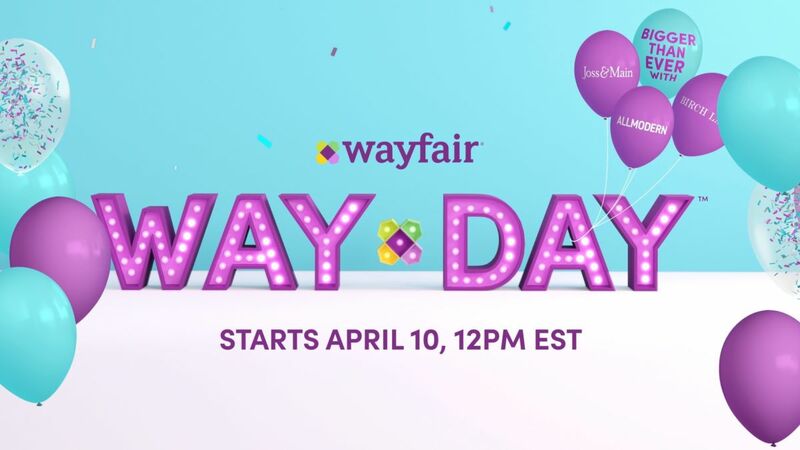 It’s official: Wayfair Inc., one of the world’s largest online destinations for the home, has announced that Way Day 2019 will kick off on April 10 at 12 p.m. ET. Following Way Day’s successful debut last April, this year, Wayfair’s popular retail holiday for home will be extended to 36 hours and to all customers in North America, the UK and Germany with steep savings across Wayfair, AllModern, Joss & Main and Birch Lane. Wayfair invites shoppers to take advantage of the lowest prices since Black Friday and free shipping for 36 hours.